Gourmet pleasure cubed. 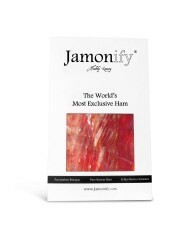 Try the most exclusive and purest ham in the world. Authentic Acorn Ibérico Ham, 100% natural. 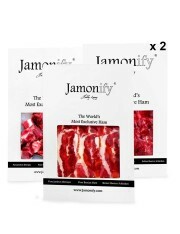 All the Ibérico taste cut in mini cubes. Perfect for snacking, as a side dish or to enjoy them with a glass of red wine. Enjoy Ibérico ham in a different way. 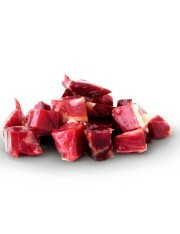 Ibérico mini cubes possess a very intense round flavour and unbeatable aroma. 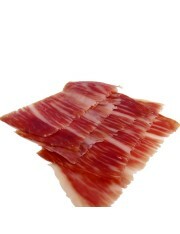 The pleasure of eating acorn Ibérico ham cubed. 1 x 80 gr. A unique gourmet pleasure and deliciously exquisite. Savour the most exclusive and pure ham in the world. Authentic acorn ibérico ham, 100% natural. Perfect for a romantic dinner, socialising with friends, an special occasion or event where you want to stand out with a very unique and exquisite product. Do you know what to bring to your host? Surprise them with the most exquisite, exclusive and sophisticated gift. Feel the luxury of an unrivalled flavour and aroma. 1 x 80 gr. Become an expert in a new culture A delicate flavour, the essence of 100% natural preservative-free Jamón Ibérico Puro de Bellota. 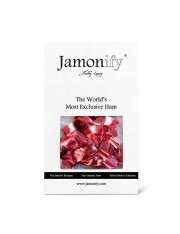 A mixture of unique and delicious jamón slices, jamón mini cubes and jamón shaved. Two cases of each type. 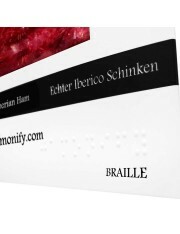 This product is presented in a deluxe handmade lined box. An exclusive and elegant gift which will provide a unique experience. 6 x 80 gr.